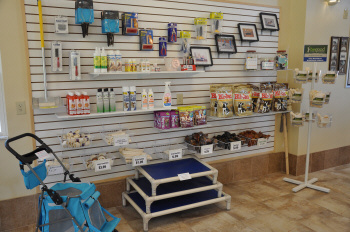 Quality pet supplies are always available in our pet shop, located in the lobby. 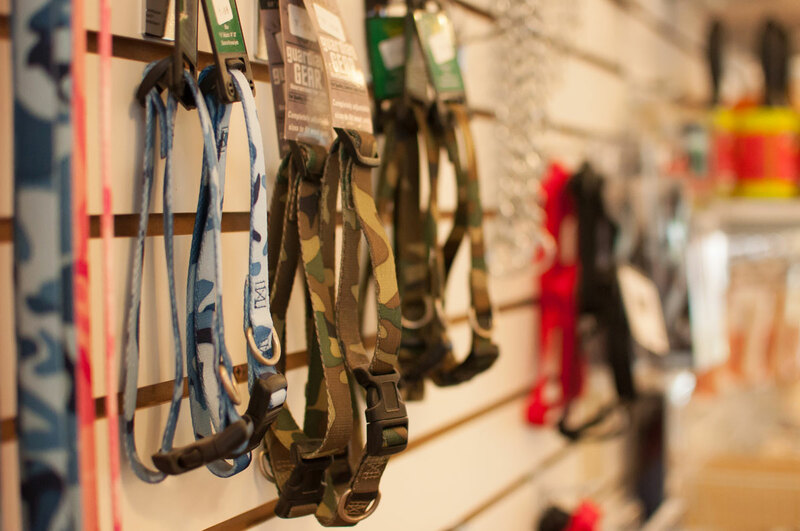 We carry collars and leashes as well as grooming products for home use. Among our biggest sellers are toys for your pet’s enjoyment. 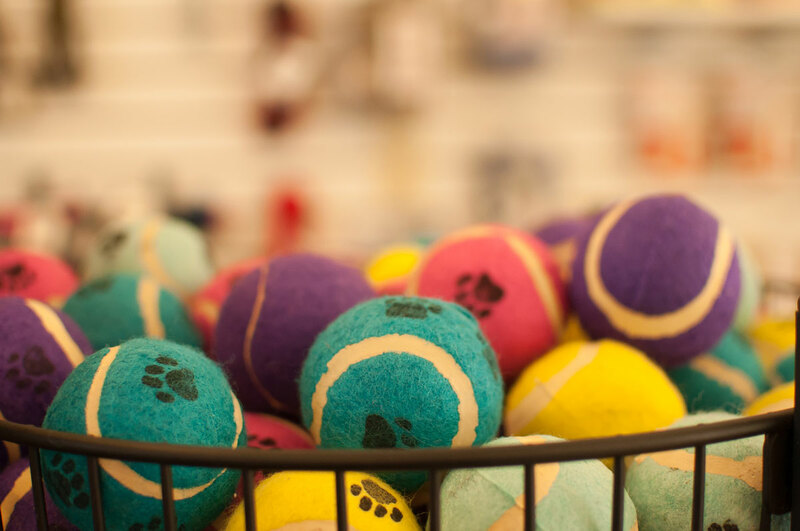 Whether you want to keep your pet amused while playing alone or with you, we can take care of your needs. Our bins are always full of new “chews” that dogs love! Our rawhides come in varying sizes to fit your pet’s capacity and our chew hooves are favorites with our boarders. Bil-Jac, our quality dog food served in-house, can be purchased for your dog’s continued pleasure at home. Frosty Paws, a delicious frozen dessert, is also available for take home or for treat time while boarding. Smaller bins hold items preferred by our feline clients. Jingle balls, catnip treats and fuzzy toys are always available for you to take home or purchase for your cat to enjoy while boarding.